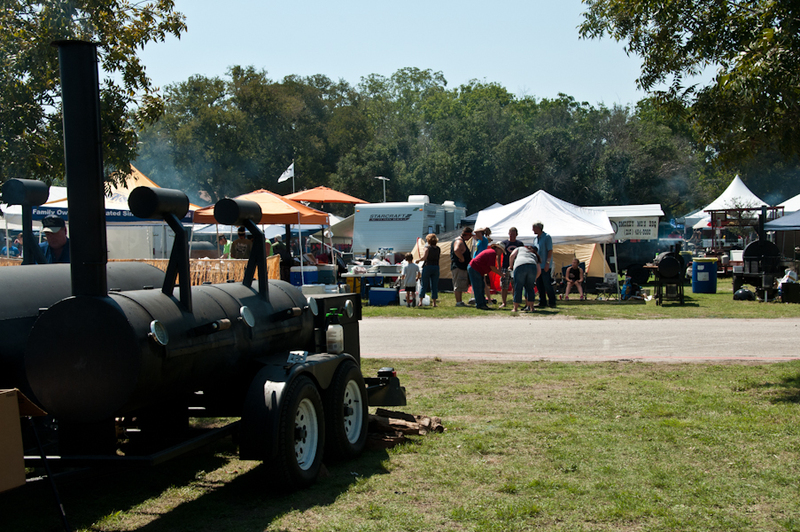 Yesterday we headed over to the Comal County Fairgrounds to check out the BBQ Cookoff. 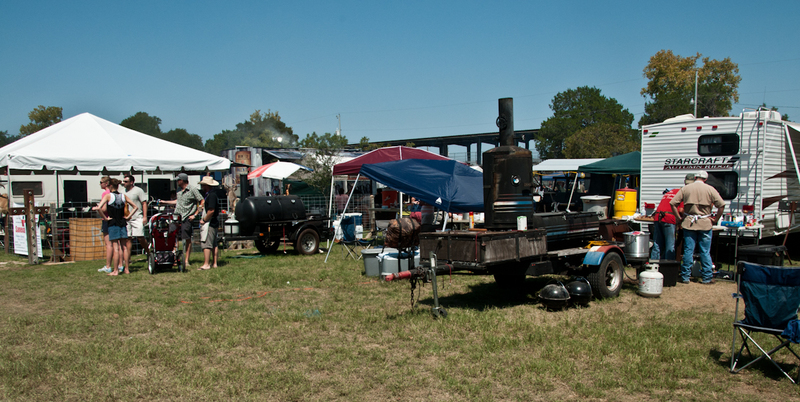 There were all kinds of bbq contraptions and probably close to 100 teams competing. It was quite a sight (and smell). 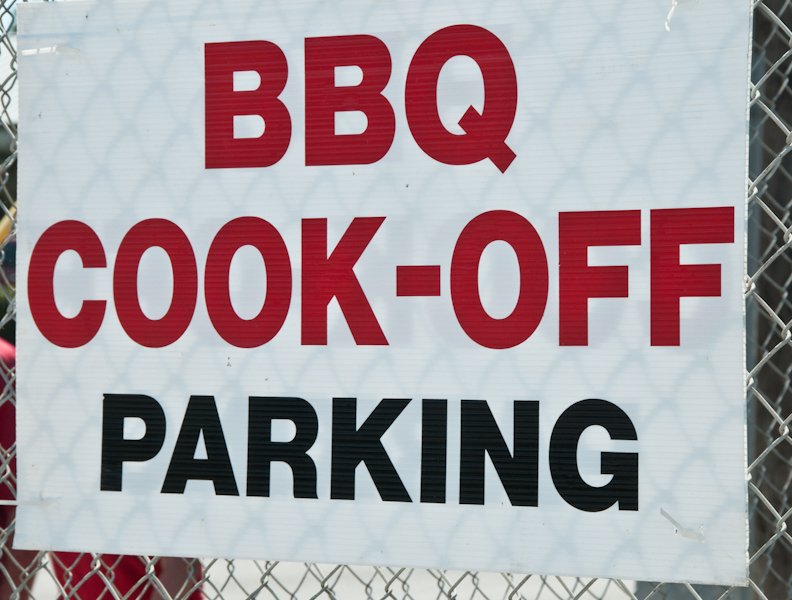 It was close to 2pm and we'd read that they were judging at 10, 12, 2, and 4pm in this order: beans, chicken, ribs, brisket. Lots of people seemed to be flowing in one direction carrying styrofoam boxes, so we followed 'em. 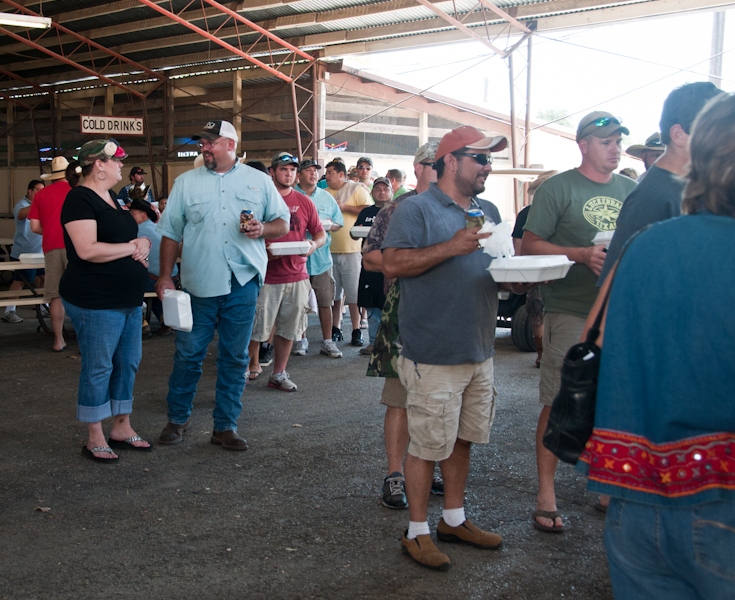 They were lining up to turn in their ribs entries. 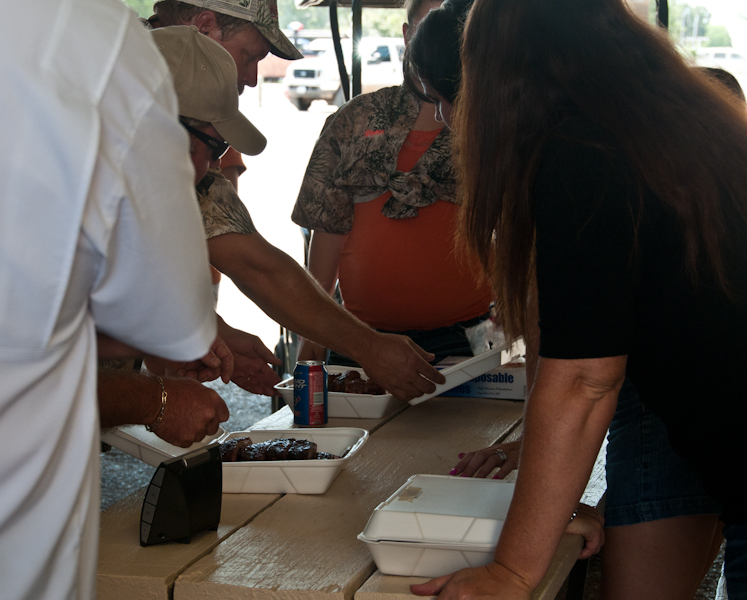 The receivers open each styrofoam box to check for proper arrangement of ribs (in one case, the receiver opened the entry, shook her head and then put on some gloves to rearrang the meat for better aesthetic appeal…). Helpful! 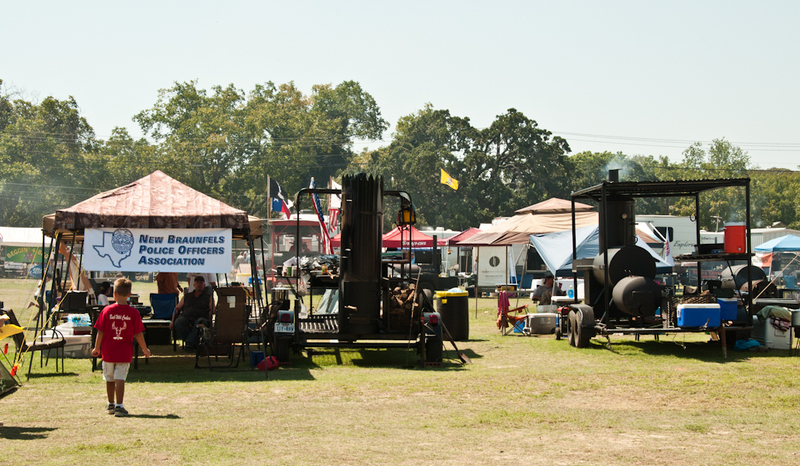 I peeked into the auditorium where the judging was to take place, and there were a whole bunch of guys in cowboy hats seated at tables with a stack of styrofoam containers on each table. Wonder how you get THAT job! 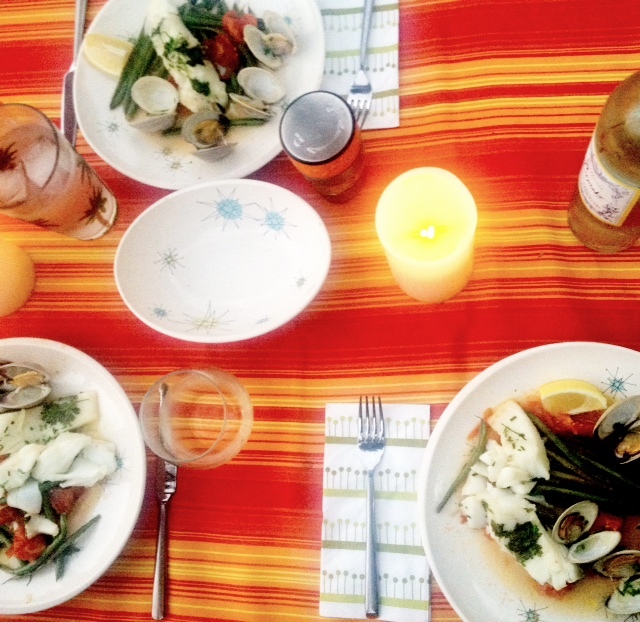 Shirley stayed for dinner last night and I cooked a light dinner of Chilean Sea Bass in parchment bags with green beans and lemon and herbs with a couple of little neck clams on the side.The evening was gorgeous so we ate outside along the river. 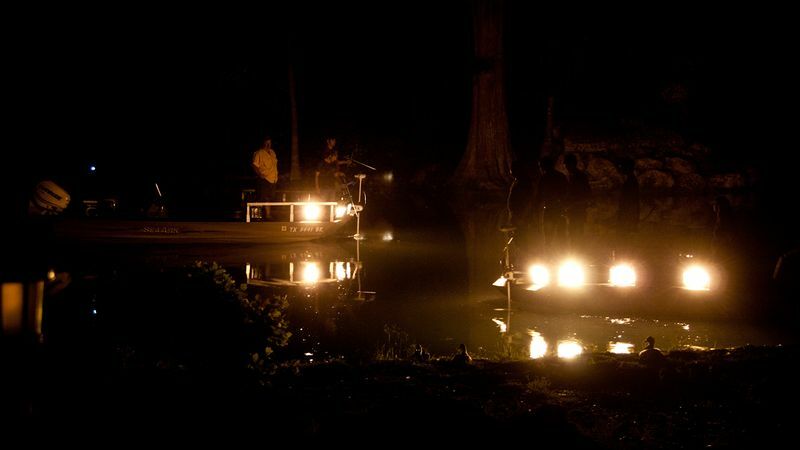 Later last night after Shirley had gone home, we saw a couple boats on the river bow fishing. (Click image to enlarge.) I love how you can see the silhouetted muscovy ducks hanging out on the shore (there's a heron in the second photo, between the two tree trunks). 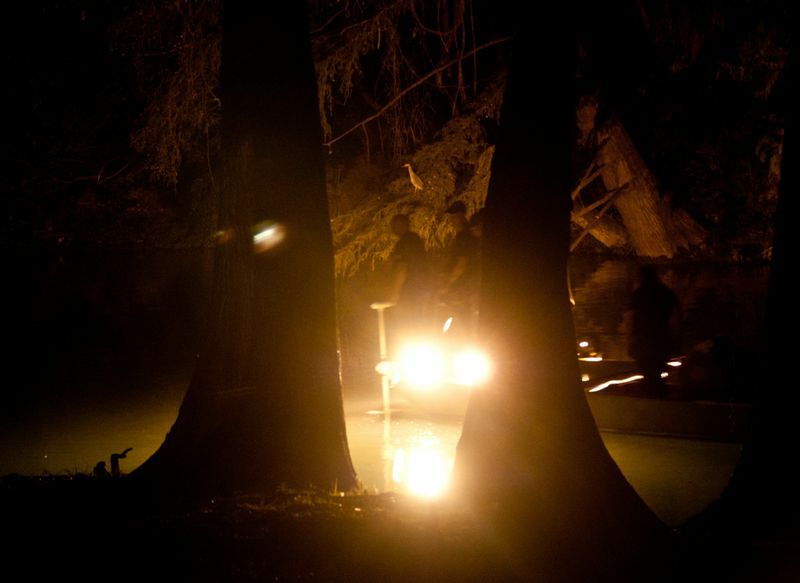 It was a cool, eerie sight seeing these boats go down the river in the darkness.